Let us start this week with some recommended Excel related links. Microsoft made this code video showcasing how Excel’s 25 years has been. See it below or watch it on youtube. Lets say you have a large workbook and want to jump to last cell with data. You can ofcourse press CTRL+End key to do that. But this approach may fail if you have a lot of blank cells at the end. You can of course find and remove blank cells using menu options. But if you want a macro based approach, read the linked tip. It can be quite handy. George’s Excel Unsual blog is quite extrodinary. 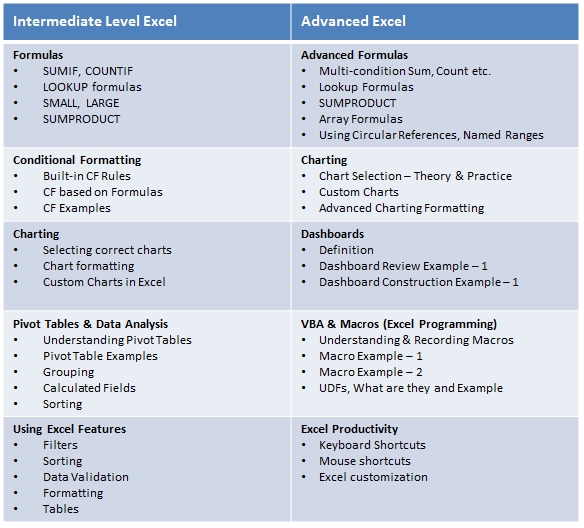 He regularly posts lots of advanced excel models & workbooks. In this short article, he shows how Excel custom functions (UDFs) work and how to write one. Debra has been doing an excellent series called “30 days 30 formulas“. She has already explained 15 formulas thru this series. In this article, she shows how to REPT formula. If you read any articles on incell charting, you will realize that understanding and using REPT formula is critical to develop good incell charts. when are you going to come to Buenos Aires !!!!????!!! @Martin: Oh, how much I would love to. I almost traveled to Buenos Aires once while I was working. But I was sent to Hong Kong instead. Do you think there are enough ears in Argentina to sponsor an excel blogger cross half the globe for a few night stay? I would imagine that unless the Excel course was held 50m off-shore in the Maldives, I'd struggle to make to to any classes. Good to see your first physical step in international market. I'm pleased to say that I was the first to comment here on the excelunusual.com blog of my friend George Lungu, after I encourage him to publish his great ideas. @Chandoo, maybe your opinion about George’s Excel "Unsual" blog is quite "extrodinary". Did you mean that: George’s Excel Unusual blog is quite extraordinary. Can someone please print some of the course details here? $'s, duration etc. Unable to dial international at present due to some local flooding here in Austrralia affecting the phone networks. Chandoo You have got to give us more notice next time for another Maldives course. It's just a fantastic idea and would be a fantastic experience to do. Can I suggest Goa for another great location idea albiet not international for you. @all: The course is aimed at people living and working in Maldives. That is why I did not mention it on the blog. It is not my intention to spoil the holiday of tourists by wrapping them with SUMPRODUCT. @Martin: Wow, that would be good. But air lifting all of us to Argentina & hosting us would be quite expensive even for MS.
@Pedro: You are right. Thanks for excelunsual reference. And yes, It is a spelling mistake. I will be fixing it. Thanks for point it out. Donut for you. @John: Sure, Goa is a nice place too. It is my new year resolution to do a few workshops this year. I will try to have one in India too. Congrats Chandoo... This is truly impressive! May god shower upon all his blessings on you Mr Chandoo on your new venture. It gives me immense pleasure in wishing you. Kindly share your experience once you are free.